in your heart, in mine. I was able to work that out in about ten minutes…I think you could do this as a thirty minute activity with kids. Also, if one of the phrases seems too difficult, you can click the button next to the phrase to get a new one. Fun! Try it out with your bored kids over the holiday break from school! 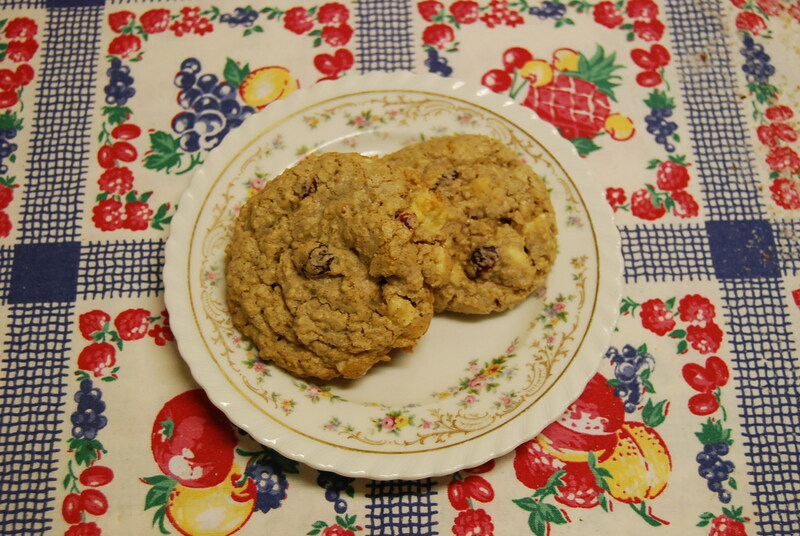 And while you’re at it, make them these cookies, because they contain delicious fruit and oatmeal, which provides a nice dose of fiber, and they’re so chewy and delicious! I’ve shared this recipe once before, but haven’t made them in awhile. Received a call from a favorite customer this morning who needs me to make her six dozen for a cookie swap she’s attending Friday. I’m going to make extra for my family to have, while I’m at it! Enjoy! 1 cup dried fruit: chopped dried apples, dried cranberries, etc. Mixtures are great! In a mixing bowl, combine dry ingredients: flour, cinnamon, baking soda and salt. In a large bowl, cream butter and sugars until light and fluffy. Beat in eggs and vanilla until mixture is well-combined. Gradually add dry ingredients to creamed mixture, beating well after each addition. Stir in oats, then fruit, white chocolate chips, and caramel bits. Drop by rounded tablespoonfuls (or use a medium cookie scoop) 2 in. apart onto ungreased baking sheets. Bake at 350° for 10 minutes or until golden brown. Let stand for 1 minute before removing to wire racks. Yield: 3–4 dozen, depending upon size. If you have a poem to share after you and/or the kids in your life play with the poetic phrase generator, will you share it with me? I’d love to read it! You could copy and paste it into the comment box, below. Thanks!